Leveraging configuration data contained within VMware vCenter? along with VMware-supplied cost benchmarks, vRealize Business for Cloud quickly and painlessly develops a comprehensive view of the cost of the virtual infrastructure. Based on hierarchies available within VMware solutions (such as VMware vCenter and vRealize Automation?) 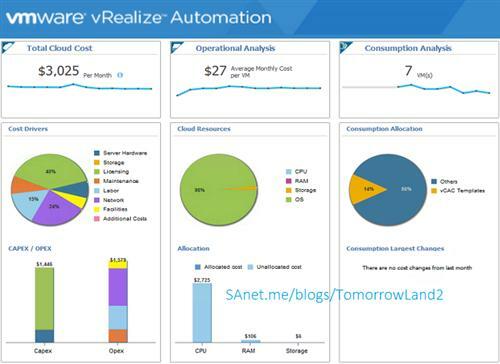 vRealize Business for Cloud also maps infrastructure elements and their costs to consumption. Within minutes of deployment, not only does the organization have a solid understanding of the cost of infrastructure services and elements but it also understands consumption patterns for both user groups and applications.